Wallace Arnold Worldchoice provides your complete holiday solution. 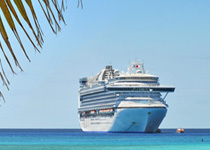 Including Cruises, Coach Holidays, Flights, Package Holidays and more. We offer a personal service tailored to your exact requirements. Whether you are planning a trip down the road or to the other side of the world, we can make your trip more pleasant by arranging things just the way you want. Call or visit us in store to speak to one of our experienced reservation team members to help you arrange your next holiday. registered office number 3825421 of 8-10 High Street, Chislehurst. Kent, BR7 5AN. © 2017 Wallace Arnold Worldchoice. All Rights Reserved. Wallace Arnold Worldchoice is a trading name of Go Travel Ltd.